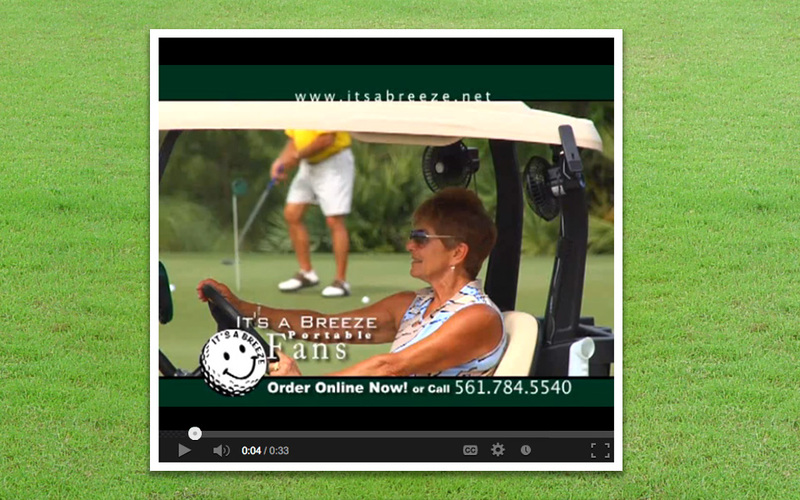 We are a small, Florida based company that sells the FAIRWAY FAN. We have a 90 day limited warranty on our product. GOOD CUSTOMER SERVICE IS OUR GOAL. WE WANT TO PLEASE ALL OUR CUSTOMERS. Are you tired of sweating in a golf cart while waiting your turn to swing? Buy a FAIRWAY FAN™ and enjoy a little breeze on a "hot calm" day. The fan's wires hook up to one of the golf cart's battery, located under the seat, with clips. 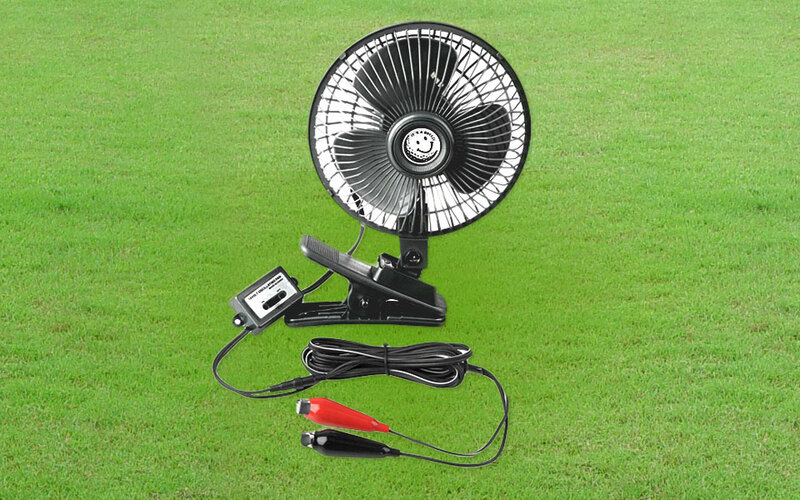 The fan is clipped to the cart, either to the dashboard, to the top of the windshield, to the back of the cart, virtually, any sturdy spot on the cart.